Someday it had to come to an end, and Cristiano Ronaldo waited until the 13th matchday of the 2017/18 edition of the Champions League before he failed to register a goal. The No.7, but more of a No. 9 than ever with Benzema on the bench, was left unmarked in Munich, and though he managed to beat Ulreich, the goal was disallowed for handball. After 22 goals in his last 12 games, Ronaldo couldn’t add to his tally. 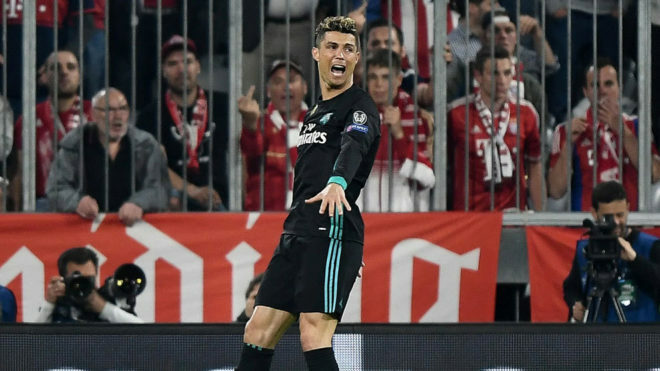 He’d found the net in every European game since last season’s semi-final second leg, but without Benzema from the start, he was more disconnected than usual. Few good balls came to the Portuguese in any event, but he nailed the best one he had … only to see it ruled out.